Sunshine and a few clouds. Slight chance of a rain shower. High 62F. Winds SSE at 5 to 10 mph..
Cloudy with rain ending overnight. Low 46F. Winds N at 10 to 20 mph. Chance of rain 80%. Gerald Thomas McCarthy, 72, of Racine, passed away on Saturday, February 2, 2019 at his home with his family by his side. 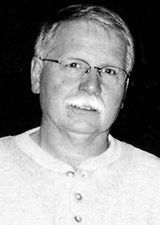 He was born on July 2, 1946 in Kenosha, the son of Lyle and Helen (NEE: Godlewski) McCarthy. Gerald worked at Young Radiator and worked at Kenosha County until retirement. He served in the United States Army during the Vietnam War. Gerald enjoyed gardening, fishing, and canoeing. He was the jack of all trades, and worked on repairs on the house, and small engine repair. He loved to listen to old time music from Frank Sinatra and Bob Seger, and watch PBS “This Old House” and “Victory Garden”. Gerald will be deeply missed by wife Vicki McCarthy, and children Angela (Tony) Duncan, Corry (Fiancé Jacob VanLent Sr.) McCarthy, Mike (Jessica Huth) McCarthy. Gerald will be missed by grandchildren Shélah, Randy, Marcellus, Jason, Stefan, Brian, Jacob Jr., and Hailey, as well as great-grandchildren Aviana, Domerion, Romeo, Nolan, and Russell. Gerald will be missed by his sister Shirley Jorgenson. Gerald is survived by many nieces, nephews, relatives, and friends. Gerald is preceded in death by his parents Lyle and Helen McCarthy, daughter Jessica, and brother Tim. Services for Gerald will be held on Wednesday, February 13, 2019 at 1 p.m. at Strouf Funeral Home. The family will receive guests on Wednesday, February 13, 2019 from 12 p.m. until time of service. Military services and interment to follow at Southern Wisconsin Veterans Memorial Cemetery in Union Grove, Wisconsin. The family would like to give a special thank you to Ascension Hospice for the love and care shown to Gerald in his time of need, and a thank you to Dr. Sachin Panchal and P.A. Natalie King.